Mrs. Christie Horton has been on faculty at St. John the Evangelist Catholic School since 2008. 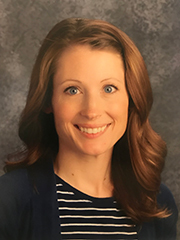 She began working at SJE as the 8th grade teacher, and after a year at home to care for her three small children, she returned to our junior high as the history, religion, and math teacher. 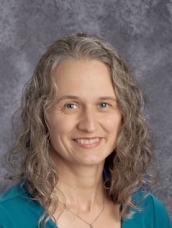 She became Principal in 2018. Mrs. Horton holds a BA in Liberal Studies from CSU Long Beach and a MA in History from The Catholic University of America, Washington, D.C. She previously worked as a Congressional Aide in Washington, D.C., and she began her teaching career in the Diocese of Arlington, Virginia prior to relocating to Sacramento. I love St. John the Evangelist! Our school is a nurturing, faith-focused environment for students. When children arrive on campus, they know they are safe and loved; they can truly focus on school and becoming the best versions of themselves. Our teachers are passionate and talented, our parents are welcoming and community-driven, and our students are friendly and hard-working--what a combination! When my husband and I needed to make our choice in where to educate our own children, there was no question that St. John the Evangelist is where we want our three sons to grow up. I trust my faculty and staff whole-heartedly to bring out the best in my boys and shape them into young men who have a strong sense of virtue and responsibility. My children are genuinely happy at school, and I'm not sure I could ask for more. Please stop by the school office to meet with Mrs. Horton and take a tour of the campus. 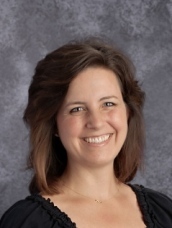 Mrs. Karla Henning is new to the faculty at St. John the Evangelist Catholic School this year. 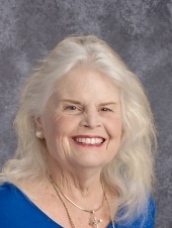 She served as a fourth-grade teacher for the Archdiocese of Seattle for the past twelve years, and also taught fourth and fifth grades in Roseville, CA, and Mesa, AZ. 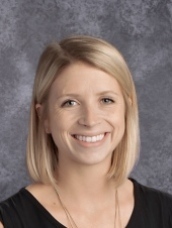 Mrs. Henning holds a BA in Communication Studies from CSU Sacramento, a Multiple Subject Teaching Certification from National University, and recently completed the English as a New Language Certification at the University of Notre Dame. I am very excited to be part of the St. John the Evangelist community! The staff, parents, and students are welcoming and committed to providing a faith-filled learning environment for all. I am happy to be part of a staff that strives to recognize and develop students’ gifts and meet their academic and emotional needs. My husband and I have two children in college and one in high school who are enjoying the warmer climate and blue skies. I am happy to be back in my home town and look forward to many years at SJE. I would be happy to meet with you to discuss our classroom and curriculum. Please call the office to set up a tour. Tasha Clutts grew up attending Catholic schools from elementary school through college. She holds a B.S. in Organizational Communication, M.A. in Early Childhood Education and her Multiple Subject Teaching Credential. She has taught in Catholic schools since 2008 and came to St. John's in 2012. Tasha also teachers our 3rd through 8th grade computer science classes and coaches our Academic Decathlon and Cross Country teams. In her off time she loves spending time with her family, hiking, BBQ's, sports games (especially watching her own children play). I love working with children especially in TK because of their enthusiasm to learn. I am very passionate about early childhood education. I love finding the balance between fun and movement, and great academic success. My students bring so much joy to my life and I am eager to inspire them everyday! My husband and I are honored that our children attend St. John's. St. John's is a family and an amazing community! I wouldn't dream of having my children attend anywhere else. When you walk on campus you get "that feeling." The feeling that you're home. When I am not at work I love spending time with my family and friends. I would love to meet you and show what a fun adventure TK is. Come for a tour and visit Tasha and our TK classroom. 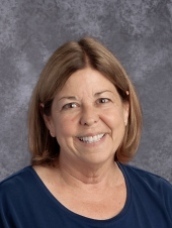 Mrs. Belinda Hussey is an Early Childhood Education Master Teacher certificated by the state of California and holds a certificate as a Paraprofessional in Special Education. She has completed an Associate Degree as a Master Teacher with 30.5 ECE units and has completed another 6 units in ECE Administration. Mrs. Hussey has been on staff with Saint John the Evangelist Preschool since 2013. She has approximately five years of experience working as a Special Education Paraprofessional with the Deaf, and has been an aide in both special day and mainstream classrooms. 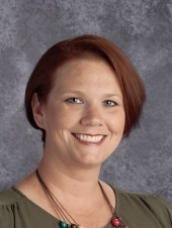 She has two years of experience as being both the teacher and director in a private Accelerated Christian Academy in which she taught kindergarten through twelfth grade. I have loved teaching at Saint John the Evangelist Preschool from day one. This is not just a day care; this is a preschool. The families and staff are concerned about the whole child; spiritually, academically, socially, and emotionally. Everyone comes together for the betterment of the children. This is a family! I have no grandchildren of my own, and I am blessed that our families allow me to share in the love of their children. I enjoy watching them grow and flourish in our main school as they move up in grade, and I particularly love it when they come to visit me again and again. I feel that here, I can be the teacher that is so dearly quoted by Justin Tarte, "Teachers who put relationships first don't just have students for one year; they have students who view them as 'their' teacher for life." Please stop by for a tour of the campus and a visit with Ms. Belinda! Mrs. Lisa Smith joined the St. John’s family in 1997 as an Extended Day worker. She started the Transitional Kindergarten program at SJE in 2000. Mrs. Smith moved up to Kindergarten in 2011. She received her BA in Liberal Studies from CSU Sacramento and has a Multiple Subject Teaching Credential with a concentration in English. I love working at Saint John the Evangelist! This truly is my second family and home away from home! There is a warm, welcoming spirit here that allows our students to feel safe and loved as they grow academically, spiritually, physically, and socially. Our faculty and staff are dedicated to educating the whole child, our parent community is open and inviting, and our students are kind and respectful. I could not ask for a better work environment! I love working with the younger students and seeing the growth that they make throughout the year. Every day is filled with new milestones and achievements. The students’ energy, enthusiasm, and joy for learning make even those tough days worth it! Please contact the school office to set up a school tour and to meet with Mrs. Smith. Mrs. Christine Castellon came to St. John the Evangelist Catholic School in 1998 as the kindergarten teacher. After three years, she graduated to first grade and found her ‘happy place'. Prior to St. John’s, Chris taught preschool and was busy raising her four children. 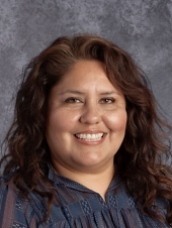 Mrs. Castellon is third generation born San Franciscan and grew up in Concord, graduating from Carondelet High School. She holds a B.A. in History and a B.A. in Government from Sacramento State University as well as her California State Teaching Credential. She loves Disneyland, Yosemite, traveling, and the San Francisco Giants. St. John the Evangelist Catholic School feels like home to me. My classroom is filled with: student’s work, birds, fish, and turtles. In first grade we share: hard work, good times, and laughter. To be able to see our preschool children giggling on their playground and watch them grow into my first graders is such a pleasure. Seeing students as they move through the grades grow and mature and become competent, loving, kind, caring, faith-filled young adults is both an honor and privilege. We are family! Here at St. John the Evangelist Catholic School we truly educate the whole child: mind, body, heart, and soul. Our faith filled classrooms help students to grow into the best version of themselves, ready to spread their wings and soar through high school and life. 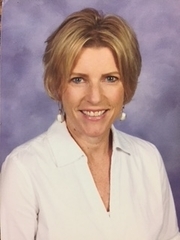 Mrs. Maggie Williams became a faculty member at St. John the Evangelist School in August of 2015. She has taught both fourth and second grades at SJE. 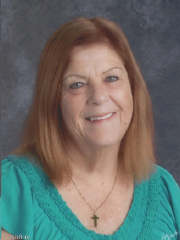 Prior to this, Mrs. Williams had recently retired from Sacramento County, where she worked in the area of early childhood/community development. 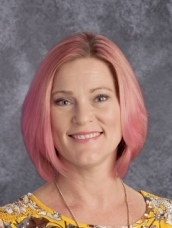 Mrs. Williams holds a BS in Human Development from the University of California, Davis; a MA in Education in Curriculum and Instruction from the University of Phoenix; and several certificates of study in Autism Spectrum Disorders. She has over 25 years experience in the area of Early Childhood Education and was also Adjunct Faculty at American River College for 10 years. Mrs. Williams adapts her teaching to accommodate all her students’ different styles of learning and strives to make each child realize their potential to become the best version of themselves. She definitely loves her job! I attended Catholic school in Rhode Island until we moved to Napa when I was 8 years old. The Catholic schools were impacted so I had to go to public school. What a different experience that was! It was high school before I had the opportunity to once again attend Catholic school and I graduated from Justin Siena High School in Napa. I love St John the Evangelist School and its wonderful sense of community. The entire staff is amazing and very passionate about their teaching. Students are individually greeted each morning when they arrive, providing them with a safe and welcoming environment in which to grow and flourish in all areas of their development. Everyone is truly welcomed and included at SJE. It’s hard to put into words the “feeling” that you get when you become a part of our SJE community. Staff, parents and students all naturally work together to provide the best possible educational experience for all. Please contact me at grade2@stjohnev.com or just stop by the school office to arrange a tour of our school and experience it for yourself! Ms. Dang began teaching at St. John the Evangelist Catholic School in 2014. She started her teaching career in Early Childhood Education and joined SJE’s preschool program as the lead teacher for the 3 year old class. She immediately fell in love with the faith-focused community where excellence of education is achieved through compassionate and understanding teachers. Ms. Dang graduated from California State University of Sacramento with a degree in Liberal Studies and an emphasis in Linguistics. She then went on to complete her Multiple Subject Teaching credential with a Masters of Arts in Teaching from the University of San Francisco. She is now teaching 3rd grade and loves every second of it. She is also the advisor for the California Junior Scholarship Federation chapter at SJE. Coming from over 12 years of Catholic Education, my positive experiences and inspirational teachers during those years helped to foster my passion for teaching. My goal is for each student to appreciate the value of education while also learning the value of community to help one another grow. I hope to instill a foundation of curiosity in my students in order to become lifelong learners. These goals are achieved at St. John the Evangelist because it is a place for community, deep relationships, individual attention, parental involvement, excellent education, and most importantly-- faith. Please feel free to email Ms. Dang with any curiosities or to schedule a time to discuss curriculum. Her door is always open! Mrs. Joanne Giffard has been the fifth grade teacher at St. John the Evangelist Catholic School since 1979. In addition, Mrs. Giffard is the Drama Director of the SJE Drama Club, and she is the Special Sacraments Teacher for her school. 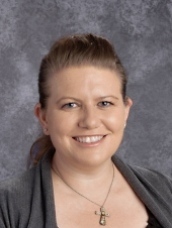 Mrs. Giffard graduated from St. Francis Catholic High School in Hawaii and earned her Bachelor of Arts Degree with a Chemistry/Biology major and Education minor at Loretto Heights College in Denver, Colorado. She was received her calling to teach with guidance first from the Sisters of St. Francis, and then by the Sisters of Loretto. The past three summers have been spent polishing her performing arts skills participating in teacher’s workshops on Broadway in New York City. 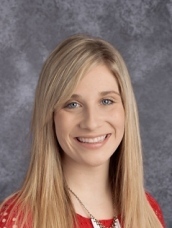 In her first year as an educator, she taught Fifth Grade at Madison Elementary in North Highlands, where she also directed the Nutcracker Suite for the School. She spent a hiatus away from teaching as she followed her husband’s military postings to Tucson, Arizona, Goldsboro, North Carolina, and back to Sacramento. She vacationed in Arizona with her family while he served combat tours flying out of Vietnam and Thailand. When she returned to education, while raising a family of two sons and a daughter, she developed and taught an aviation and optics unit for gifted children as a special projects ALPS teacher in the Rio Linda School District. Her deep Catholic faith, and subliminal urging from the nuns of St. Francis and Tralee, brought her to start teaching at St. John’s. Her Catholic education had finally come full circle: she was once a shy, quiet schoolgirl at Sacred Heart School in Dayton, Ohio, who was always happy to quietly observe. Now she endeavors to give to her students what was once invested in her by years of nurturing by those many caring nuns. While she had found satisfaction in teaching, she still felt a void which was finally satisfied by accepting a teaching assignment with St. John’s. Ultimately it has been her goal to provide an environment which strengthens Catholic faith, and nurtures heart, mind, and spirit in the children. She challenges students to study in depth the many accomplishments of our American geniuses and summons them in science projects to satisfy their wonder in quest for answers as to “how and why” things happen. Likewise, they collaborate in research of holiday customs around the world, and also portray characters from time period novels. As the year progresses, drama students create a charismatic musical as they sing, dance, perform, and also engage in the art of technical theatre to showcase their artistic talents. 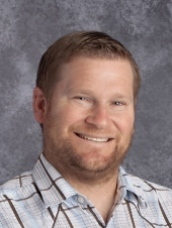 Mr. Justin Fritzsche has been on faculty at St. John the Evangelist School since 2014 as the 6th grade homeroom teacher. 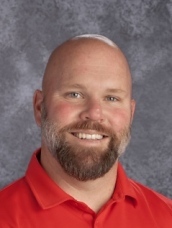 In addition to teaching various 6th and 7th grade subjects during his time at SJE, he has coached the 7th and 8th grade girls’ volleyball teams and been a coach for the religion decathlon team. Mr. Fritzsche holds a B.A. in Communication from Saint Mary’s College of California in Moraga. He also has his multiple subject teaching credential from Saint Mary’s as well. 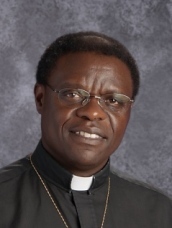 He previously worked for the Diocese of Oakland for almost 5 years after graduating from college and was employed by another school in the Sacramento Diocese for 4 years prior to coming to SJE. Mr. Fritzsche was born and raised in Oakland, California and moved to the Sacramento area in 2010. He has a wonderful family that includes his wife, an almost 3 year old daughter, a 6 year old Golden Retriever named Sydney and coming soon, baby boy Fritzsche due in December. I first realized my passion for teaching when I was in high school and I volunteered to coach a youth soccer team in my hometown of Oakland. After that, I began to help out my sister, who was a principal at the time. At her school I taught just about any age level, any subject, helped with coaching sports teams, and assisted the tutoring program. Being able to assist students in setting and reaching goals has always been my motivation, but my favorite part of education is to help children understand how to treat each other and become better human beings. I have loved St. John the Evangelist ever since my first day as the 6th grade teacher. The community has always been so warm and welcoming. The staff and faculty that I work with are truly dedicated and are always willing to help each other. I am looking forward to sending my own kids to this wonderful school when the time arrives. Please email Mr. Fritzsche with any questions and if you stop in for a tour, say hello to 6th grade. Mr. Kann has been a teacher at St. John the Evangelist since 2014 and has 18 years of veteran teaching experience under his belt. He has taught grades ranging from 2nd to 8th and now finds himself right where he wants to be: inspiring students in history and religion. He has a unique, project-oriented repertoire and he strives to develop each student academically and socially. Mr. Kann recently finished his Masters in Education from Purdue University and currently holds a double B.A. in Theology and Philosophy from Loyola Marymount University. He has a lovely family of five (three of his children attend St. John’s) who enjoy traveling and spending time cheering on sports teams. I work hard to inspire every student I encounter to be the best student he or she can be. I never thought I’d develop a passion for teaching, but it is those challenging moments with the students that help me realize I am right where I should be, helping, motivating and stimulating their young minds. Mr. Kann has an open door policy and would love a visit. Please feel free to contact him however you feel most comfortable. Ms. Colleen Ennis has been on faculty at St. John the Evangelist since 2014. 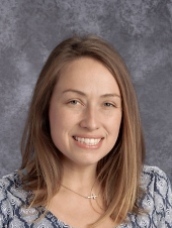 During her five years at St. John the Evangelist, she has served as the 8th grade homeroom teacher, teaching both 7th and 8th grade English Language Arts. Ms. Ennis is an alumna of St. John the Evangelist herself. After graduating from Loretto High School ('08), she left for sunny Southern California and attended the University of California Irvine where she graduated with a BA in Social Ecology. She attended graduate school through the University of San Francisco where she received her multiple subject credential, English single subject credential, and her MA in Teaching. I could not be more happy to return to my old grade school. As a student, I spent an amazing nine years at St. John Evangelist learning and serving in a Catholic environment. I am so thankful to have the opportunity to be an educator at SJE and carry on the traditions of academic excellence, Christian service, and well-rounded students. My favorite part of St. John the Evangelist is the welcoming and kind community. Everyone is treated with respect on campus and the welcoming environment is felt the minute you walk on campus. At St. John the Evangelist each student is given the opportunity to thrive, truly promoting excellent for all. At SJE, we really are a family and I feel incredibly blessed to be a part of it. Please stop by 8th grade to meet Ms. Ennis and discuss any questions you may have regarding middle school Language Arts. My name is Kevin Rogers and I am excited to start another year at St. John the Evangelist school teaching Physical Education. 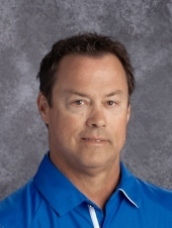 I am also the Athletic Director and 7th-8th grade boys basketball coach, as well as, a varsity football coach at Del Campo high School, I have been teaching here for over 25 years I have also had the privilege to teach Math and computers. I grew up in the Monterey Pennisula where I attended Robert Louis Stevenson and then transferred to Seaside High School. I then attended CSU Sacramento where I received my BS and credential in Physical Education, along with a Supplement in Math.. I have an amazing wife Holly and three energetic boys Kaden, Kellen and Kole. When I am not coaching I enjoy hanging out with the family at barbecues, camping, fishing, water activities, watching the boys play sports and friends. I believe every student has a gift and talent. it is my job to bring out the best in all students regardless of skill level.I will provide a variety of activities to help build self-esteem and self-confidence, while improving movement efficiency. While I hold high expectations for all my students, I do not expect the students to be the best, but I do expect them to give their best effort. Leah Newton has a Masters Degree in Education with a California Clear Credential for Multiple Subjects, and a Bachelor of Arts Degree in Dance from Loyola Marymount University in Los Angeles. She has been teaching since 1996 in both public and Catholic schools in grades K-12. Currently, Leah teaches art for grades TK – 8 at SJE, as well as at The Crocker Art Museum, in downtown Sacramento. Her students have won several local and national art awards. Leah also hosts paint-night style fundraisers for students and adults. Over the past five years Leah has been showing artwork at venues including the Blue Line Arts Gallery (Crocker-Kingsley Art Competition and Exhibition), the Sacramento Fine Arts Center, and the California State Fair. She published her first children’s book, “Of Wonder and Dreams” that she both authored and illustrated. When my husband and I were looking for a school for our daughters, we were specifically looking for three things. First, we wanted a Catholic school where our daughters could receive a foundation in their faith and spirituality. Second, we wanted a school that not only offered variety, but one that felt like a community, with students from various ethnic, economic and learning needs. Third, we wanted a school that supported the arts. We love St. John's! Our girls have received their Sacraments, utilized the school resources, sung in the choir, performed in the plays, and have created cherished artwork that hangs in our home. Our eldest daughter now attends Christian Brothers High School. I cannot thank St. John's School enough for preparing her, and us, for that transition. Please come visit me in the art room! 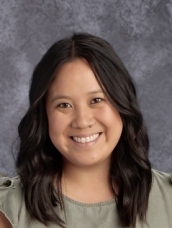 Ms. Nguyen has a BS from University of North Florida, an MS in Medical Sciences in Neuroscience from the University of Florida College Of Medicine, an MA in Stem Cell Biology and Teacher Credential from Sacramento State University at Sacramento. She had 10 years of academic biological research and teaching experience at the college level. Her experience gained grew into a desire to ignite interest in science and technology in younger students through education and outreach. This is Ms. Nguyen’s first year as the junior high math and science teacher at St. John the Evangelist School. I am excited to share my experiences in research with students and guide them in engaging science experiments in which students can gain knowledge and grow in curiosity about our world. St. John the Evangelist School promotes virtue, responsibility, and citizenship in students and staff, resulting in a warm, inviting environment in which students are comfortable to share without fear of negativity from others. Please fill free to stop by the office or Science Room for more information! Cara O’Shea is from Providence, Rhode Island. She is Berklee College of Music Alumni and has also attended the Musicians Institute in Hollywood, CA. In addition, she holds degrees in Liberal Arts and Social Science. She has an extensive background in paralegal studies and is in the final stages of finishing her paralegal degree and certificate with a concentration in Entertainment Law. Cara is the Director of Music Education at St. John the Evangelist School and is the youth choir director. She has been teaching music since 1999 and specializes in vocal performance, songwriting and piano. She was featured on Showtime at the Apollo in New York, has performed with the Boston Pops Symphony Orchestra and was also nominated best female singer songwriter in the LA Music Awards in 2006. Cara is married to professional bassist, Jimmy O'Shea and their three children also attend St. John the Evangelist School. We started our journey at St. John the Evangelist in the Catholic Faith Formation program on Sunday mornings. My second grader at the time was studying to make his First Communion. Each time I brought my children for Sunday School, I would wonder why we didn't have them a part of the school. I would see art work on the walls and the beautiful classrooms. It became very obvious to me that this was where we needed to have our children. Once touring the school and meeting the teachers, we enrolled our children the same day and mid year. We have not looked back! I love the creative freedom at SJE and the strong fine arts programs. But most of all, we love the sense of community at SJE. This is Ms. Hanna Price’s first year teaching at Saint John the Evangelist School. Though it may be her first year teaching here at our school, she actually attended Saint John the Evangelist from Kindergarten through Eighth Grade. After attending Saint John’s, Ms. Price went on to further her academic career at Del Campo High School. She participated in Student Government and Honors courses throughout her four years at Del Campo High School. She then went on to receive a Bachelor’s Degree in Honors Child Development with a Minor in Psychology from California State University, Chico. Ms. Price has a variety of work experience both within the walls of the classroom as well as within the community as a whole. She has worked in Early Childhood Education as a lead infant teacher, a lead toddler teacher and as a lead preschool teacher for children ranging from 6 weeks through 5 years of age. She is a credentialed substitute teacher and has experience substituting students ranging from Kindergarten through Twelfth Grade. Ms. Price also has a huge passion for working with children who possess a wide variety of differing developmental skills, strengthens, and abilities. She especially enjoyed her time as a behavioral therapist, working with children diagnosed with Autism, both within the school and home setting environments. Additionally, Ms. Price also works as a Broista at Dutch Brothers Coffee in her spare time, and she truly enjoys bringing smiles and happiness to members within the community on a daily basis. When I was given the opportunity to teach at Saint John the Evangelist School, I truly cannot express how simply I was able to make that decision. Words cannot express the enthusiasm that I held in my heart when I returned back to my old elementary and middle school. When I first walked back onto this campus, I did not simply feel as though I was returning to a school campus but rather a home community. Having the opportunity to teach at Saint John’s allows me to not only teach academics but also faith, kindness, and spirituality. Ever since I can remember, I have always had a passion for working with children. It truly brings me such joy to discover all of the unique gifts, strengths, and talents each and every child possesses. It is also so rewarding to see their faces come to life when they have their “ah-ha” or light bulb learning moments. Each and every morning, I live for the laughter and smiles that glow on the students faces here at SJE. It is incredible to know that by being a teacher here at Saint John the Evangelist I am not just teaching students how to become academic scholars, but most importantly, how to become caring and compassionate Christian citizens. Please stop by our school office to receive a tour of our brand new resource classroom and schedule a time to meet Ms. Price!